Buy tickets in advance http://www.brownpapertickets.com/event/852458 or on the door on the night at Glad Cafe. 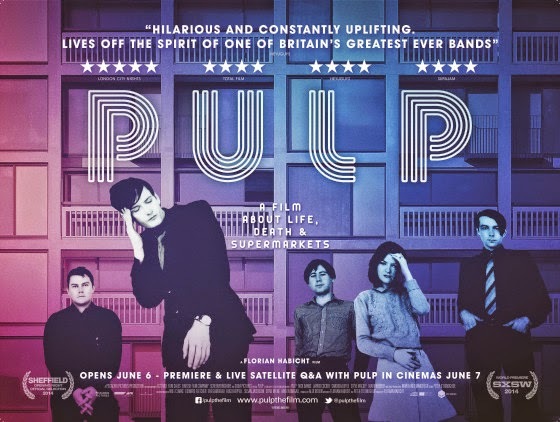 The second in our Autumn 2014 film club season of music related films, Pulp: a Film about Life, Death and Supermarkets is a documentary about the enduring career of Sheffield’s finest musical export, Pulp, who found fame on the world stage in the 1990’s with anthems including ‘Common People’ and ‘Disco 2000’. “In 2012 Pulp returned to their hometown for what could be their last UK concert. Footage of their phenomenal live show is exclusive to this film and the band also share their thoughts on fame, love, mortality & car maintenance.